During the 2010s, the partners in the International Space Station, ISS, project began working on human missions beyond the Earth's orbit. The US, Russian, European, Japanese and Canadian space agencies, along with their respective industries, developed a concept of a habitable outpost orbiting the Moon, in the region known as the cis-lunar space. The future platform would be periodically visited by crews to prepare for deep-space expeditions and to study the Moon either remotely or during actual sorties to its surface by the robotic or even manned vehicles. One of numerous architectures which were considered for the cis-lunar outpost in a joint study between Boeing and RKK Energia. In the fall of 2011, as the deorbiting of the ISS appeared on the horizon, the management of the project formed Team 4 within the International Expert Working Group, IEWG, to study various options for using the station for future flights beyond the Earth's orbit. Team 4 met five times during 2012 and three times in 2013 and issued more than 50 technical documents on the subject. During March and April 2013, members of IEWG prepared a protocol which recommended the consideration of a man-tended platform in the cis-lunar space as the first step in the international effort to go beyond Earth's orbit. However, for the next several years, the idea would remain in limbo without a formal international agreement between the respective governments funding the ISS. As before with the ISS agreement of 1993, the US position became the most critical for launching the project. During the second term of the Obama Administration from 2012 to 2016, an expedition to Mars was proclaimed to be the official long-term goal of the American manned space program. As a result, NASA was instructed not to initiate any plans for returning astronauts to the surface of the Moon. At the same time, NASA agreed with its partners that a habitable outpost near the Moon would serve as a necessary stepping stone toward the Red Planet. Theoretically, other nations, which could not afford a hugely expensive and complex Mars program, could use the joint facility for lunar exploration. 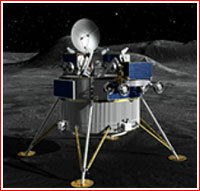 Therefore, the cis-lunar project was promising a political, financial and technical compromise for all involved. On Nov. 4, 2014, the heads of the agencies participating in the ISS program ordered a joint study of a cooperative project which would make possible human space missions into deep space. The initial goal was to deliver recommendations by the end of summer 2015. The work began in December 2014 with the formation of a group of experts tasked with brainstorming the various technical challenges of the project. The even more difficult effort of securing political and financial support for the future program at the governmental level was also under way. The engineering part of the work resembled NASA's studies of an Earth-orbiting space station at the turn of the 1980's, which eventually led to the approval of the Space Station Project by the Reagan Administration in 1984. However, this time, NASA's international partners were closely involved in all the technical details of the initial development, while the existing legal framework and management structure of the ISS gave the follow-on effort a solid foundation, the like of which did not exist in 1984. At the start of the cis-lunar station research, planners could also rely on the Global Exploration Roadmap, GER, a kind of strategic blueprint, which was endorsed by 14 space agencies in November 2011. Following initial approval in the fall of 2014, the five space agencies formed the ISS Exploration Capabilities Study Team, IECST, which was tasked with reviewing how the ISS experience could be used to build the cis-lunar infrastructure, with determining its possible architecture and with drafting its flight plan and possible mission. Specialists also had the task of looking at all the necessary technologies, logistics and maintenance which would be required for building and operating a small habitat near the Moon. This man-tended outpost could serve as a way station to the lunar surface and as a springboard for the exploration of the Solar System, including asteroids, Mars and its moons. In fact, the outpost itself could eventually embark on a journey toward a deep-space destination. Representatives of the various space agencies also tried to see what contributions each country could make, based on their technical capabilities and realistic budgets. All the work was conducted within the ISS program and covered by its budget. Initially, the IECST group included representatives from space agencies only, for the exception of Russia, with Roskosmos officials needed help from the nation's prime contractor in human space flight -- RKK Energia. From 2014 to 2016, the IECST group met eight times. In the next step, the proposed concept of the cis-lunar station was given to the International Spacecraft Working Group, ISCWG. This new team was assigned to gather recommendations from the partners on the project and detail concepts of all the modules and systems for the lunar outpost in papers known as CDD (for Conceptual Design Documents). The group also had to organize the development of common standards for all the partners. By the end of 2016, the ISCWG had met three times. Its meetings were held jointly with the members of the original IECST group. During the meetings, representatives of the various agencies were able to hold talks jointly and also have one-on-one negotiations on various aspects of the project. Numerous architectures and assembly scenarios of the cis-lunar habitat have been considered in the course of the project, both at the agency level and by industrial contractors, in most cases, independently from each other. Although the official goal of the studies was the "use" of ISS components for deep-space exploration, early meetings within the IEWG team in 2012 agreed that the actual separation of the station's modules and their transfer to the near-lunar space would not be practical. 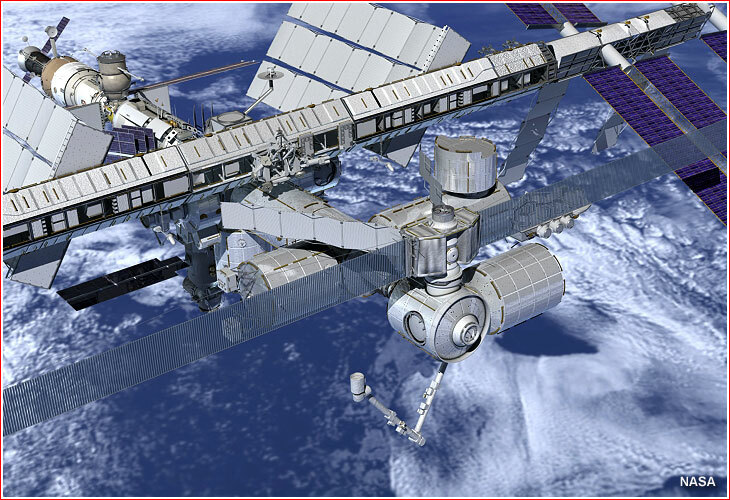 Still, most designs of the future cis-lunar station continued relying very heavily on the existing or future modules and internal systems of the ISS. One major new feature, which appeared early on in the cis-lunar station design was an electric propulsion system. Electric engines would be very effective in the weak gravitational field of the Moon, while providing great fuel savings, resulting in fewer supply missions to the station and lower cost of the overall project. 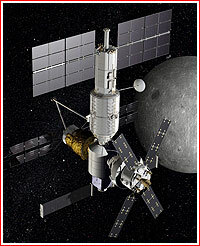 A circa 2011 concept from NASA's Johnson Space Center called for the assembly of the cis-lunar outpost at the ISS, before its undocking and the delivery toward the Moon with the help of a giant 400-kilowatt electric space tug. 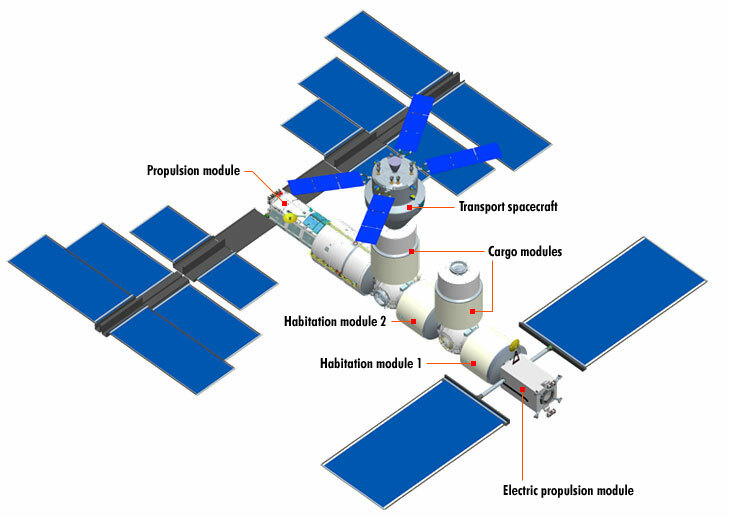 An August 2011 concept from NASA's Johnson Space Center and Boeing called for the assembly of the cis-lunar outpost at the International Space Station before its undocking and the delivery toward the Moon. During 2012 and 2013, most cis-lunar concepts were focusing on the Lagrange points in the Earth-Moon system, in particular the L2 point (a.k.a. EML-2), as the main destination for the outpost. The station was expected to house progressively longer expeditions lasting from one to six months at a time. 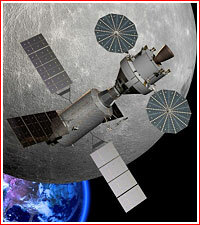 The crews would shuttle aboard the self-propelled outpost around the lunar neighborhood. Eventually, the station could be customized either for lunar exploration (as favored by most space agencies) or for trips into deep space (as insisted upon by NASA). In April 2012, in Houston, NASA proposed a concept of the station which would include a core module deriving from the unpressurized instrument section of the Zvezda Service Module on the Russian segment of the ISS and the Node modules on the US segment. The design inherited from the Zvezda would allow to refuel the cis-lunar station. Another NASA design presented in November 2012 in Tsukuba, Japan, featured a US-built "gateway bus," which would be propelled through space with a combination of electric engines and traditional thrusters. 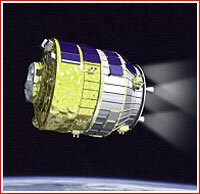 Under different names, a spacecraft of this type became the initial component of many subsequent designs of the outpost. In an independent development, Boeing and RKK Energia presented a joint concept of the cis-lunar station at the International Astronautics Congress in Naples in 2012. It would serve as a base for a reusable lunar lander with a mass of under 22 tons. Practically all the proposed designs of the cis-lunar outpost have relied heavily on NASA's SLS rocket and the Orion spacecraft. 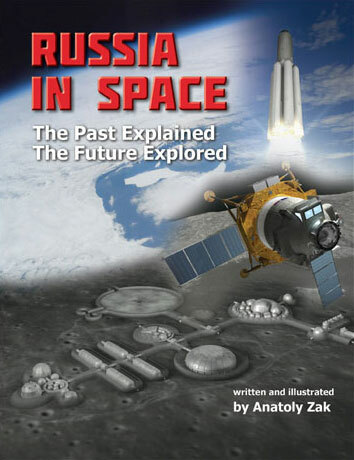 At the same time, early in the program, NASA considered other US launch vehicles, such as Delta-4 and Atlas-5, for various support roles, for example, for launching Russian-built components. NASA was also expected to build some of the modules of the cis-lunar station, such as a habitat and a power and propulsion module. NASA's contractors could also upgrade existing ISS supply vehicles for deep-space missions. In Russia, RKK Energia studied a number of potential contributions, which included various modules, a crew transport vehicle, a newly designed cargo ship, a solar-powered space tug and an array of rockets ranging from the existing Proton to the new-generation Angara and the prospective super-heavy boosters. Most Russian module concepts were based on future components of the ISS, first of all the Science and Power Module, NEM, the Node Module, UM, and the Oka-T free-flying platform. The Russian team first proposed its partners to use the NEM and UM modules during a IEWG meeting in Paris in February 2012. A Russian-built space tug for NASA's SLS rocket was also evaluated. 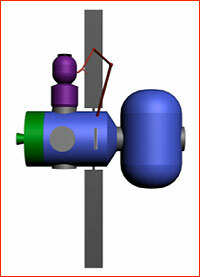 Eventually, the airlock module concept was added to the assortment of the potential Russian hardware. 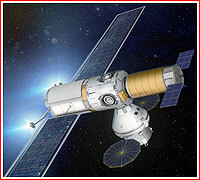 As of 2012, European engineers looked at a potential deep-space version of the ATV cargo ship. Its combination with a pressurized section derived from the Columbus module was also considered. Ultimately, ESA agreed to provide an ATV-derived service module for NASA's Orion spacecraft. ESA also evaluated the possibility of a cargo ship equipped with electric engines which could reach Earth-Moon Lagrange points or low lunar orbit. 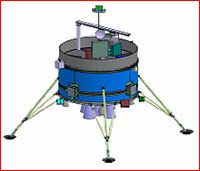 EADS Astrium (later Airbus) also proposed a two-ton lunar lander launched by the Soyuz-2-1b rocket and carrying a 60-kilogram mini-rover, which could be associated with the cis-lunar program. It would land near the South pole of the Moon. This relatively small spacecraft could be followed by a heavy cargo lander launched by the Ariane-5 ME rocket and capable of delivering up to 1.7 tons of cargo to the surface of the Moon, including a radio-telescope or a material-processing unit. Japan's Mitsubishi Heavy Industries, MHI, formulated a concept of a nine-ton deep-space module transporter based on the HTV cargo ship for the ISS and also proposed a cryogenic rocket stage which could be used in the joint program. 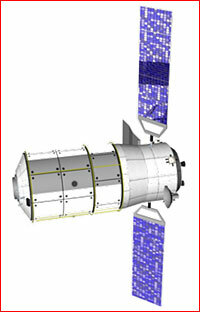 The deep-space version of the HTV cargo ship could deliver up to seven tons of cargo. MHI also proposed a robotic lunar lander, which was based on Japan's SELENE series. 2011 Fall: The partners in the ISS project form Team 4 within the International Expert Working Group, IEWG, to study various options of using the station for future flights beyond the Earth's orbit. 2011 Nov. 9-10: The 14 space agencies endorse the Global Exploration Roadmap at an international conference on deep-space exploration in Italy. 2012 February: Team 4 within the International Expert Working Group, IEWG, meets in Paris, France. Russia proposes the use of NEM and UM-based modules for the station. 2012 April 17-19: Fourth meeting of the IEWG in Houston, US. 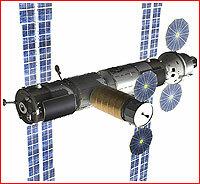 NASA proposes a refuelable space station, based on the instrument compartment of the Zvezda Service Module. 2012 June: Team 4 within the International Expert Working Group, IEWG, meets in Moscow, Russia. 2012 September: Team 4 within the International Expert Working Group, IEWG, meets in Darmstadt, Germany. 2012 October: At the International Astronautics Congress in Naples, Italy, Boeing and RKK Energia present a concept of station in the Moon-Earth Lagrange point, L2, focused on the exploration of the lunar surface. 2012 November: Team 4 within the International Expert Working Group, IEWG, meets in Tsukuba, Japan. NASA proposes a station architecture based around a US-built "gateway bus." 2012: Industrial companies present various concepts of cis-lunar outpost at the Global Lunar Exploration Conference, GLEX. 2013 March: IEWG holds a working seminar on the interaction between manned and robotic systems in deep-space exploration. 2013 April: IEWG meeting in Houston. 2013 June: Meeting of ISS partners on the development of the International Manned Platform. 2013 July 16-17: IEWG meeting in Denver, Co.
2013 October: Lunar Exploration Analysis Group meeting in Laurel, Maryland. 2014 April 10: NASA conducts the Global Exploration Roadmap Community Workshop in Laurel, Maryland. 2014 Nov. 4: The heads of the agencies involved in the ISS program order a joint study of a possible cooperative project which would lead human space missions into deep space. 2015 April 9: International Spacecraft Working Group Meeting, ISCWG, delivers its first report to the ISS program managers.